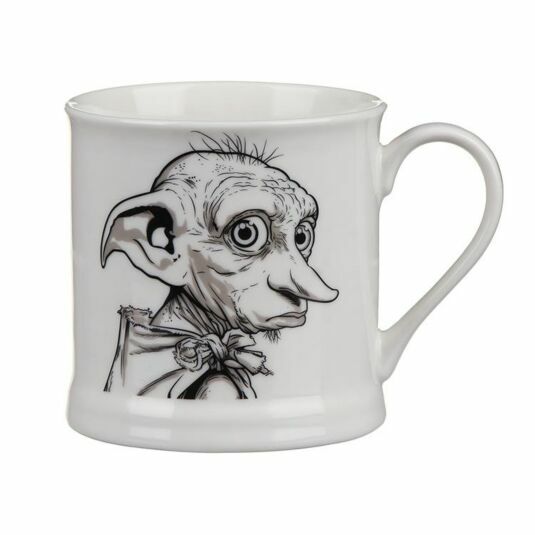 Bring the adorable cuteness of Dobby into your life with this mug from our Harry Potter range; officially licensed merchandise from Warner Bros. It is perfect for anyone you know who simply loves Harry Potter, especially this little house-elf, and wants to expand or start their collection! The 350ml mug is quite something to look at. Cream in colour, it is decorated with a simply beautiful graphic of Dobby. The view is just over his shoulder, with his iconic face turning to look at you, an expression of hope, love, and sadness on his face. His ears and nose are as cute as ever and his big eyes stare at you with such an adorable expression. 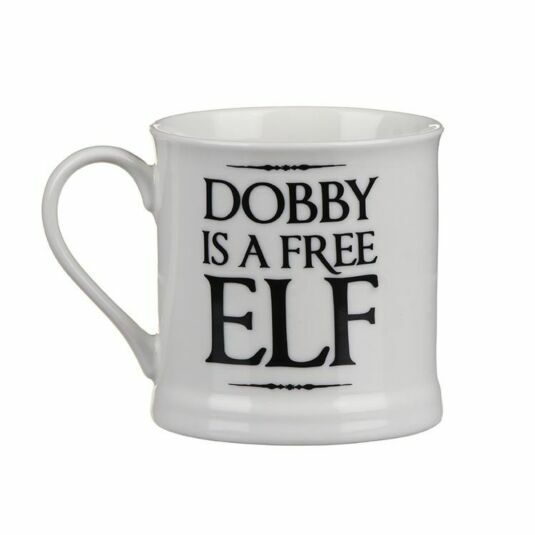 On the back of the mug are the words ‘Dobby is a Free Elf,’ reminding you of this simple but important fact. 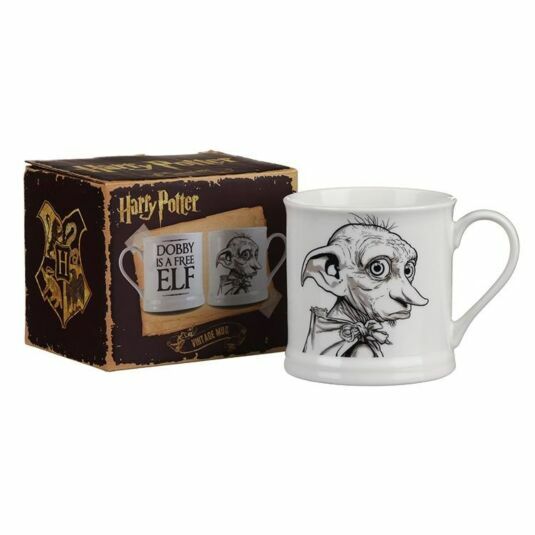 Dobby, in mug form, comes in an official Harry Potter gift box, helping to make this a brilliant gift. This mug is perfect for any Harry Potter fans out there, that could be friends, family, or even yourself.